The planned Sweetwater Bike Skills Park was one of the many topics of discussion at the recent 2017 State of Bonita Address. The community was invited to bring their questions and unique perspectives. The plans for this bike skills park were created through a partnership between San Diego County Parks and Recreation and the San Diego Mountain Biking Association. 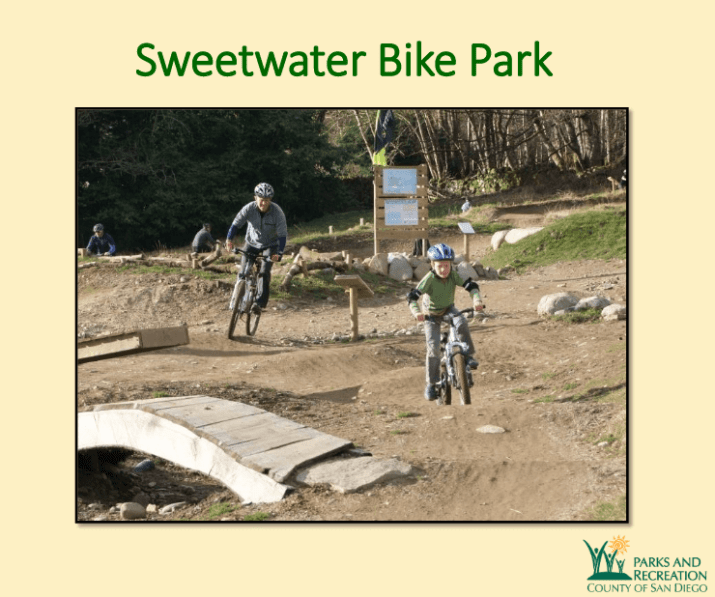 The Sweetwater Bike Skills Park would be the first in San Diego County. The current selected site is 5 acres located in the Sweetwater Regional Park (between San Miguel Road and SR-125). It would include: pump tracks, dirt jumps and skill elements. The park would help promote healthy physical activity and be a safe practice area for cyclists.